A good water bottle is hard to find—for me, at least. It seems like something so simple, but I’ve been searching high and low for a water bottle that combines form and function, keeps drinks cold, carries the right amount of water and doesn’t leak. Disappointed by my off-brand hard plastic water bottle which didn’t fit any of the above criteria, I was in search of something I could throw in my gym bag and take to my two- to three-hour roller derby practices. Enter the Hydro Flask. My summer roller derby practices are routinely held in sweltering arenas with little air flow, let alone air conditioning. Needless to say, I guzzle water — a lot of it. 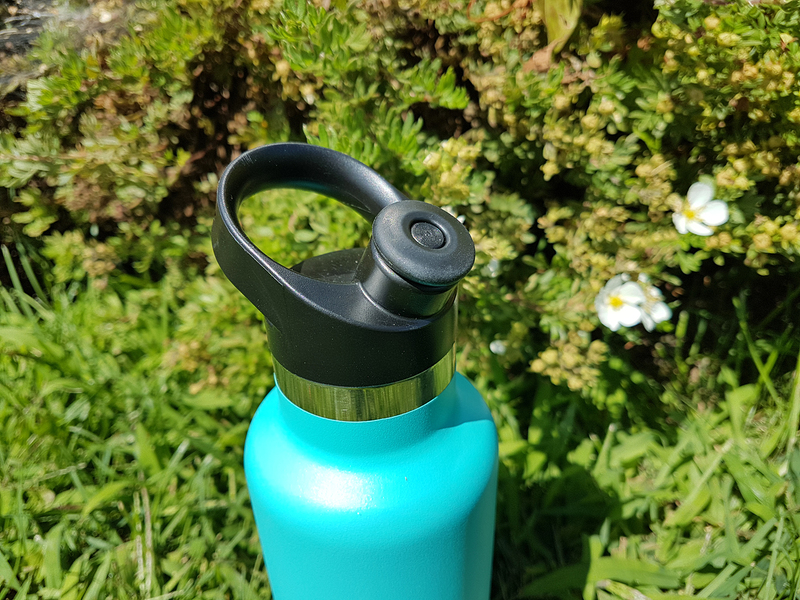 The Hydro Flask definitely kept my water cold, thanks to its TempShield technology that combines a double-wall structure with vacuum insulation to keep drinks icy cold for up to 24 hours and, as a bonus, steaming hot for up to six. Despite the full bottle being on its side in my gym bag, there were no leaks and no condensation either. The standard-mouth insulated sport cap that came with mine kept the bottle air tight. However, I did find the sport cap a little stiff and hard to open. The rugged stainless steel construction can definitely stand up to anything I can throw at it (including dropping it onto a concrete arena floor), but I do find it’s a little heavy and it wouldn’t be the type of bottle that, say, I would throw in a purse. The slim shape and mint colour of my standard-mouth 21 oz. bottle certainly make it the most attractive water bottle I've owned. I regularly refill it at least three times over the course of a practice, so I wish I had chosen a larger bottle (though that would up the heft of this already weighty item). Thankfully, Hydro Flask offers 11 different size options, from 12 oz. to mammoth 64 oz. bottles, in both standard and wide mouth openings, with a variety bright and neutral colour options, and a range of caps and accessories. Overall, this is a great, if not slightly heavy, water bottle that would have met all my criteria had I chosen the right size.